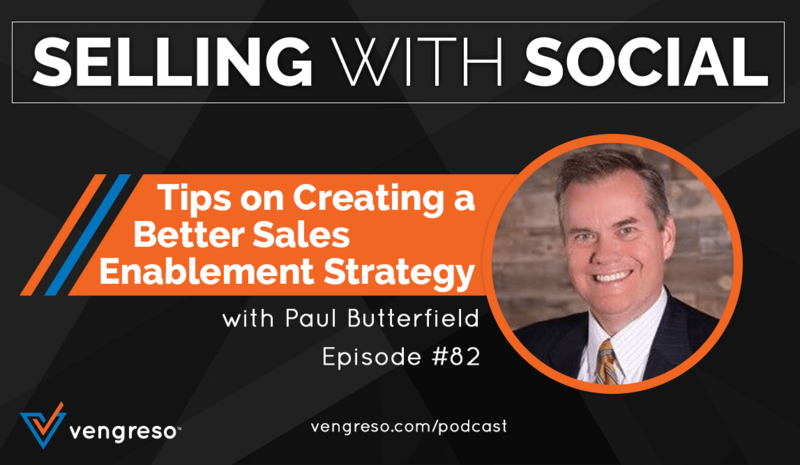 As the Head of Global Sales Enablement at Vonage, Paul Butterfield is an expert on sales enablement strategy tips and tricks. 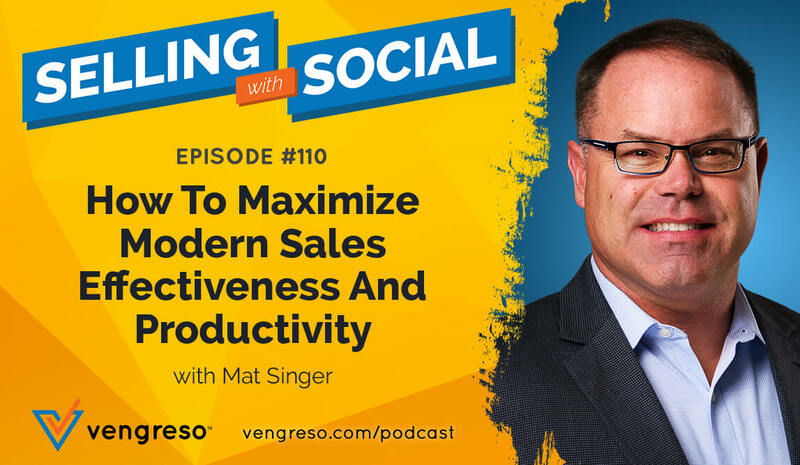 He’s my guest for this episode of #SellingWithSocial and he explains how you can use 3 main pillars within sales enablement to increase performance and land more deals with your target clients. We also discuss why departmental alignment should be one of the ultimate goals for your sales enablement team, how you can differentiate your strategy from your competition, and how to capture, track, and sell influential success stories. If you’re a sales enablement leader then you can’t afford to miss Paul’s insights – listen now! Paul explains that the goal of a sales enablement strategy is to help salespeople reach more modern buyers and close more sales. His personal enablement philosophy rests on 3 main pillars and that by providing these 3 main components to your team, they will be better prepared for selling success. The first pillar is tools. 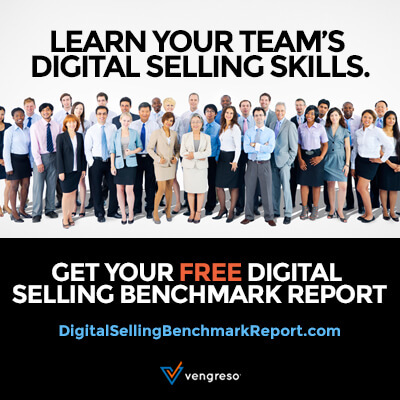 Without effective tools, sales people aren’t able to work efficiently. The second pillar rests on a standardized methodology/process for sales. Having a distinct process for handling executive-level sales conversations allows your sales team to have a secure foundation of talking points to stand on. Finally, selling skills make up the third pillar of a great sales enablement strategy. As an enablement leader, you must take on the responsibility of training and educating members of your sales team at every step of their selling career. Paul explains these 3 pillars in greater depth on this episode, so be sure to listen. The vast majority of companies are still experiencing a disconnect between various departments. To combat this disconnect and improve productivity, Paul encourages company leadership to make departmental alignment one of the core goals for their sales enablement strategy. If your company’s product development, marketing, operations, and sales teams are not working towards common goals, you’ll never reach your full potential. The alignment process starts with YOU, the leader developing the overall sales enablement strategy. Paul explains that it doesn’t have to be an overwhelming process – it can start with a simple one-on-one conversation with each department’s leader. Begin the conversation by explaining your current sales enablement process, and outline how each department can take steps towards eliminating points of confusion within the process. To hear more on this essential tip, give this episode your full attention. Pillar #3 of a great sales enablement strategy, the skills your salespeople have, is only successful if it’s based on differentiation. You must ask yourself, “How do our sales conversations convince clients that we are the best solution to their problem?” Paul has designed a program that’s built solely on differentiation tactics. Capturing, tracking, and highlighting your company’s success stories is an effective way to drive better sales results. Your salespeople need to understand what problems the company has solved for previous customers and exactly WHY they chose to purchase a solution from your company. 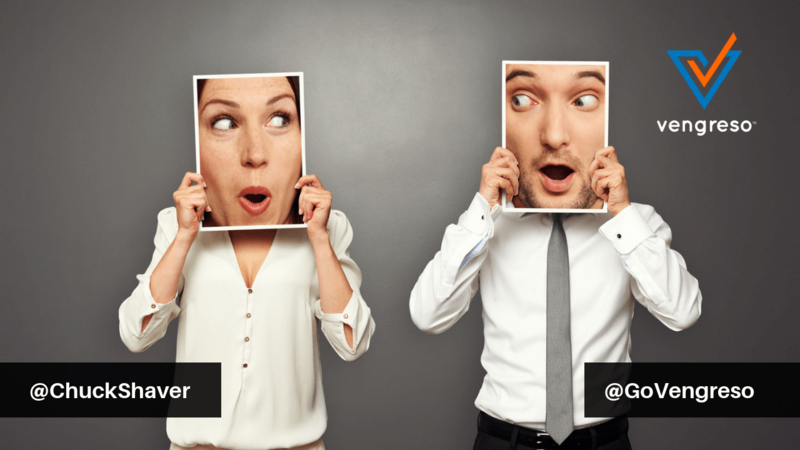 It’s been shown that people (buyers included) are automatically more intrigued by a story than basic facts and figures. If your sales enablement team can share success stories in a relatable way, it’s yet another tool to add to the playbook when speaking with buyer executives. For even more great insights, be sure to listen to Paul’s interview. [14:10] How can you align all of the departments within your company?